We are looking for up to 6 young people (age 18-30) to take part in ‘Healthy for Life’, a programme designed to help increase levels of sport and physical activity amongst young people. Healthy for Life is a successful project run by DGT (Do Great Things), a youth work partner based in Romania. The project has run for two years already and we are joining up for the third iteration of the project. You can check out the first edition and the second edition of the projects here. Young people from Romania, Germany, Scotland, Malta, Greece, Latvia and Slovakia will take part in this third edition will take place from 1-13 June 2017. There is a fee of £35 to take part in the project, but all flights, food, accommodation, and activities are included and are funded through the Erasmus programme. The project will take place in the Poiana Negrii area in the north of Romania in a gorgeous Romanian mountain chalet. Due to the nature of this trip, then priority will be given to those who have been part of LEAP Sports projects in the past, or who are connected to the community sports groups we work with. This should not stop you from applying though, as we wish to recruit a varied team. You should be aware that the Scottish group will be accompanied by a leader from LEAP Sports Scotland, and that the project is not exclusively for LGBTI young people. 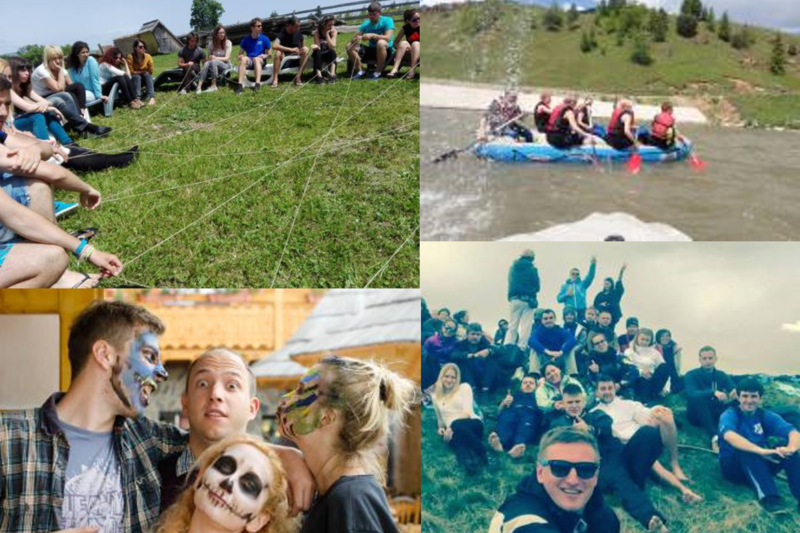 However if sports and outward bound activity in the Romanian mountains this summer sounds like your idea of a good time, then you should apply to take part. You can email us at info@leapsports.org if you have any questions and you can click here to go straight to the application form and apply to take part in the project. Written on 11th February 2017.